L. Han, K. Miyasaka, O. Terasaki, Structure from Diffraction Methods, First Edition. Edited by Duncan W. Bruce, Dermot O'Hare and Richard I. Walton. Chapter 4 Electron Crystallography, Published 2014 by John Wiley & Sons, Ltd.
4. L. Han,* S. Che, An Overview of Materials with Triply Periodic Minimal Surfaces and Related Geometry: From Biological Structures to Self-Assembled Systems, Adv. Mater., 2017, Accepted. 3. L. Han, T. Ohsuna, Z. Liu, V. Alfredsson, T. Kjellman, S. Asahina, M. Suga, Y. Ma, P. Oleynikov, K. Miyasaka, A. Mayoral, I. Díaz, Y. Sakamoto, S. M. Stevens, C. Xiao, N. Fujita, A. Garcia-Bennett, K. B. Yoon, S. Che, O. Terasaki,* Structures of silica-based nanoporous materials revealed by microscopy, Z. Anorg. Allg. Chem. 2014, 640, 521. 2. L. Han, S. Che,* Anionic surfactant template mesoporous silicas (AMSs), Chem. Soc. Rev. 2013, 42, 3740. 1. L. Han, O. Terasaki,* S. Che,* Carboxylic group functionalized ordered mesoporous silicas, J. Mater. Chem. 2011, 21, 11033. 27. X. Shen,(+) W. Mao,(+) Y. Ma,(+) D. Xu, P. Wu, O. Terasaki, L. Han,* S. Che,* Angew. Chem. Int. Ed. 2017, DOI: 10.1002/anie.201710748. 26. W. Mao,(+) X. Cao,(+) Q. Sheng, L. Han,* S. Che, Angew. Chem. Int. Ed. 2017, 56, 8657. 25. L. Ma,(+) Y. Cao,(+) Y. Duan,* L. Han,* S. Che,* Angew. Chem. Int. Ed. 2017, 56, 10670. 24. Z. Lin,(+) S. Liu,(+) W, Mao, H. Tian, N. Wang, N. Zhang, F. Tian, L. Han,* X. Feng,* Y. Mai,* Angew. Chem. Int. Ed. 2017, 56, 7135. 23. H. Li,(+) Y. Liu,(+) L. Han,* C. Jiang,* S. Che,* Angew. Chem. Int. Ed. 2017, 56, 806. 22. Y. Cao, Y. Duan, L. Han,* S. Che,* Chem. Commun., 2017, 53, 5641. 21. Y. Cao, K. Kao, C. Mou, L. Han,* S. Che,* Angew. Chem. Int. Ed. 2016, 55, 2037. 20. 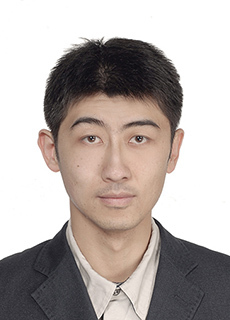 X. Liu, H. Xu,* L. Zhang, L. Han,* J. Jiang, P. Oleynikov, L. Chen, P. Wu,* ACS Catal. 2016, 8420. 19. X. Cao, D. Xu, Y. Yao, L. Han,* O. Terasaki, S. Che,* Chem. Mater. 2016, 28, 3691. 18. L. Xu, X. Ji, J.-G. Jiang, L. Han,* S. Che, P. Wu,* Chem. Mater. 2015, 27, 7852. 17. Y. Duan,(+) L. Han,(+) J. Zhang,(+) S. Asahina, Z. Huang, L. Shi, B. Wang, Y. Cao, Y. Yao, L. Ma, et al., Angew. Chem. Int. Ed. 2015, 54, 15170. 16. Y. Yao, J. Feng, L. Han,* S. Che, RSC Adv. 2015, 5, 102256. 15. L. Han,(+) D. Xu,(+) Y. Liu,(+) T. Ohsuna,* Y. Yao, C. Jiang,* Y. Mai, Y. Cao, Y. Duan, S. Che,* Chem. Mater. 2014, 26, 7020. 14. Y. Duan,(+) X. Liu,(+) L. Han,(+) S. Asahina, D. Xu, Y. Cao, Y. Yao, S. Che, J. Am. Chem. Soc., 2014, 136, 7193. 13. Y. Ma, L. Han,* K. Miyasaka, P. Oleynikov, S. Che,* O. Terasaki,* Chem. Mater.2013, 25, 2184. 12. Y. Cao, J. Xie, B. Liu, L. Han,* S. Che,* Chem. Commu. 2013, 49, 1097. 11. S. Liu,(+) L. Han,(+) Y. Duan,(+) S. Asahina, O. Terasaki, Y. Cao, L. Ma, J. Zhang, S. Che,* Nat. Commun. 2012, 3, 1215. 10. B. Liu,(+) L. Han,(+) S. Che,* Angew. Chem. Int. Ed. 2012, 51, 923. 9. L. Han,* C. Jin, B. Liu, S. Che,* Chem. Mater. 2012, 24, 504. 8. S. Liu,(+) H. Jia,(+) L. Han,(+) J. Wang, P. Gao, D. Xu, J. Yang, S. Che,* Adv. Mater.2012, 24, 3201. 7. B. Liu, L. Han,* S. Che,* Interface Focus 2012, 2, 608. 6. L. Han, K. Miyasaka, O. Terasaki, S. Che,* J. Am. Chem. Soc. 2011, 133, 11524. 5. L. Han, P. Xiong, J. Bai, S. Che,* J. Am. Chem. Soc. 2011, 133, 6106. 4. C. Jin,(+) L. Han,(+) S. Che,* Angew. Chem. Int. Ed. 2009, 48, 9268. 3. L. Han, Y. Sakamoto,* S. Che,* O. Terasaki, Chem-Eur J 2009, 15, 2818. 2. L. Han, J. Ruan, Y. Li, O. Terasaki, S. Che,* Chem. Mater. 2007, 19, 2860. 1. L. Han, Y. Sakamoto,* O. Terasaki, Y. Li, S. Che,* J. Mater. Chem. 2007, 17, 1216.